Jack Ziebell of the Kangaroos celebrates kicking a goal. SOME big upsets have left the door wide open for North Melbourne to jump into the top eight. 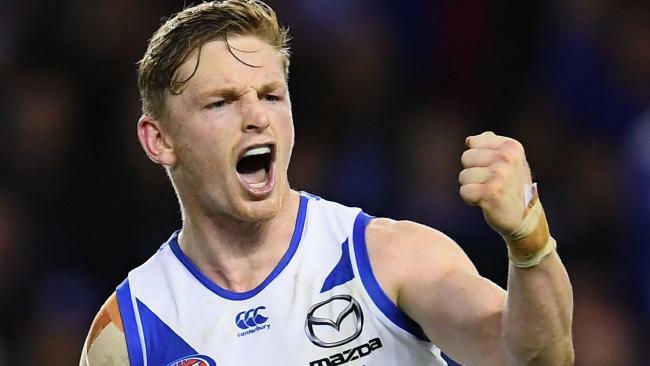 The Kangaroos can leapfrog Geelong with a win against the Bulldogs on Sunday and only need a small percentage boost to overtake Port Adelaide. 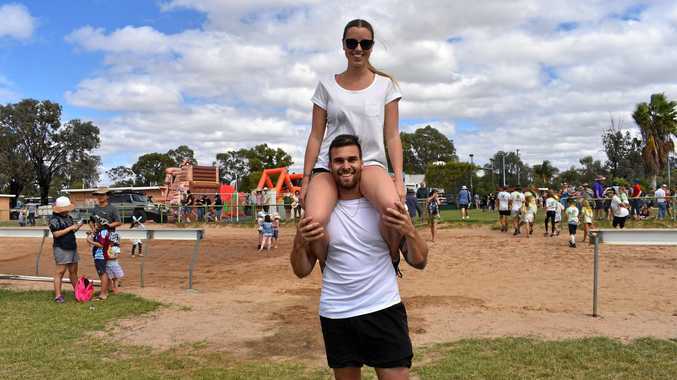 If the Swans lose to Melbourne, a victory will have North sitting eighth after Sunday's action and with two very winnable games to come a surprise finals appearance will be theirs to lose. But first they have to overcome the Bulldogs, who bounced back to form with a big win against St Kilda last week. Sunday's second game also has huge top-eight ramifications as Melbourne hosts Sydney at the MCG. And Fremantle will host Carlton in Perth to round out Round 21.